Having already become and being a part of modern culture today, the online world of dating can be fun and at the same time it can cause you some troubles. Apart from choosing the right photos and information for filling out your profile, you always face the risk of meeting someone who is… well, not the same person that he or she pretends to be on the web. Let alone the problem of meeting scammers who want only to get out money from you through the means of online dating websites, the problem is a bit more serious than it might seem to you at first sight. However, a recently released dating app called Would Like To Meet claims that it can guarantee the absence of the aforementioned risks of coming across the fake profiles while looking for a credible dating partner. 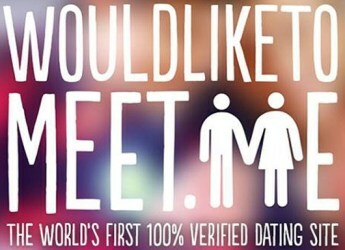 Having made the words “No fakes, just dates” its slogan, Would Like To Meet uses a brand new next-gen verification software in order to filter out all kinds of pretenders and scammers. First of all, it allows the users of Would Like To Meet to upload videos of themselves entirely within the application. These videos are then checked by a member of the special team to verify the identity of a person – in other words in such a way, that people who register at the app could be then confirmed to be who they say they are. According to the words of the application founder Eden Blackman, the idea about the basic principles of Would Like To Meet came to his mind after he personally experienced some of the security risks of the popular dating apps and websites. He says that nowadays anyone has got an opportunity of creating a profile page at one of the free dating websites (for black people, latino people or at one of the Indian dating sites – anywhere) and upload just any of the beautiful pictures to show how you look like, which will claim it’s you. And the latter has fostered the creation of hundreds and thousands of fake profiles by people around the web, which sometimes reaches absurd length, since such people as Jude Law and Homer Simpson cannot be currently “single and searching for their love” online. Blackman’s policy of running Would Like To Meet is based on the one key principle: honesty is the vital component of dating online. Aiming at traditional matching people on compatibility, the application tries to create matches based on common tastes and interests (especially movies, music and places in common) in order to prevent those moments of awkward silence between you and your partner. Would Like to Meet app is currently available for iOS, Android and Blackberry smartphones.